Just before beginning his first term on January 20, 1993, President-Elect Clinton made a very strange request to close family friend and lawyer Webster Hubbell: “If I put you over there in justice I want you to find the answer to two questions for me: One, who killed JFK. And two, are there UFOs.” According to Hubbell, “Clinton was dead serious.” The key to unlocking the mystery of President Kennedy’s assassination and a possible UFO connection lie in events that occurred 18 years earlier in post-war Germany. In 1945 John F. Kennedy was a guest of Navy Secretary James Forrestal, where he personally witnessed technological secrets that have still not been disclosed to the world. These secrets stemmed from extraterrestrial technologies that Nazi Germany had acquired and were attempting to use in their weapons programs. In searching for answers to who killed President Kennedy we need to start with the death of his mentor, James Forrestal in 1949. Forrestal became the first Secretary of Defense in 1947, a position he held until March, 1949. Forrestal was a visionary who thought Americans had a right to know about the existence of extraterrestrial life and technologies. Forrestal was sacked by President Truman because he was revealing the truth to various officials, including Kennedy who was a Congressman at the time. Forrestal's ideals and vision inspired Kennedy, and laid the seed for what would happen 12 years later. After winning the 1960 Presidential election, Kennedy learned a shocking truth from President Eisenhower. The control group set up to run highly classified extraterrestrial technologies, the Majestic-12 Group, had become a rogue government agency. Eisenhower warned Kennedy that MJ-12 had to be reined in. It posed a direct threat to American liberties and democratic processes. Kennedy followed Eisenhower’s advice, and set out to realize James Forrestal’s vision. The same forces that orchestrated Forrestal's death, opposed Kennedy's efforts at every turn. 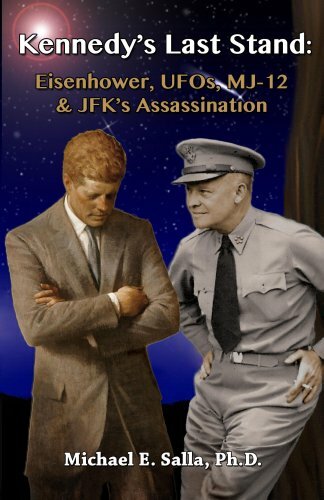 When Kennedy was on the verge of succeeding, by forcing the CIA to share classified UFO information with other government agencies on November 12, 1963, he was assassinated ten days later. Kennedy’s Last Stand is the story of how an American President tried to realize his friend and mentor’s vision of a world where humanity openly knows about extraterrestrial life; and of the government officials responsible for denying that vision. A landmark exposé firmly grounded in fact, The Day After Roswell puts a 50 year-old controversy to rest. Since 1947, the mysterious crash of an unidentified aircraft at Roswell, New Mexico, has fueled a firestorm of speculation and controversy with no conclusive evidence of its extraterrestrial origin -- until now. Colonel Philip J. Corso (Ret. 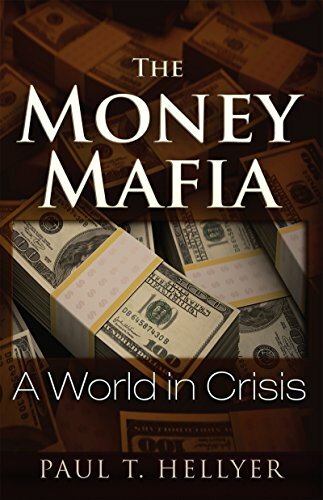 ), a member of President Eisenhower's National Security Council and former head of the Foreign Technology Desk at the U.S. Army's Research & Development department, has come forward to tell the whole explosive story. 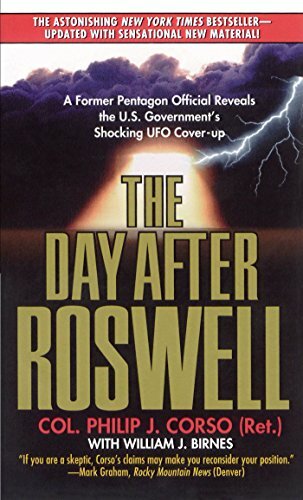 Backed by documents newly declassified through the Freedom of Information Act, Colonel Corso reveals for the first time his personal stewardship of alien artifacts from the crash, and discloses the U.S. government's astonishing role in the Roswell incident: what was found, the cover-up, and how these alien artifacts changed the course of 20th century history. The Los Angeles Air Raid on February 24/25, 1942 opened an unprecedented chapter in the evolution of the U.S. Navy. In response to this incident, a covert research program to investigate the feasibility of exotic antigravity propulsion technologies was developed. In addition, Navy operatives were embedded in Nazi occupied Europe to learn about the Germans’ advanced flying saucer programs, and they discovered the Nazis were receiving assistance from two extraterrestrial groups with very different agendas. The debriefing of the operatives took place at Naval Air Station, San Diego, led by Rear Admiral Rico Botta. He instructed a “Disseminator of Naval Research and Information”, William Tompkins, to take confidential briefing packets to select think tanks, corporations and university departments around the country. 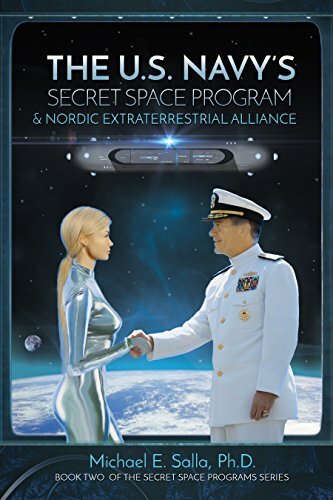 Later, Tompkins worked with a number of leading aerospace companies to design massive spacecraft for a secret U.S. Navy space program, and was fatefully assisted by extraterrestrial visitors described as “Nordics”. 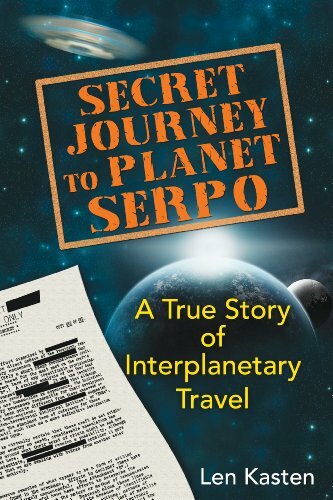 An extensive number of documents substantiate Tompkins’ claims of the existence of a covert Navy program created to study, design and build deep space battle groups. They became operational in the 1980’s. Now the Navy has a new goal to enact a plan to level the universal playing field, and the election of President Donald Trump may just be the wild card they needed to reveal … everything! No one has ever written the history of the Defense Department's most secret, most powerful, and most controversial military science R&D agency. 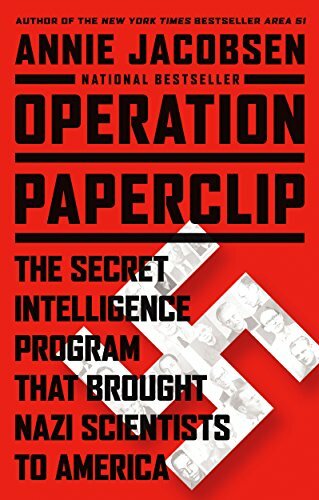 In the first-ever history about the organization, New York Times bestselling author Annie Jacobsen draws on inside sources, exclusive interviews, private documents, and declassified memos to paint a picture of DARPA, or "the Pentagon's brain," from its Cold War inception in 1958 to the present. 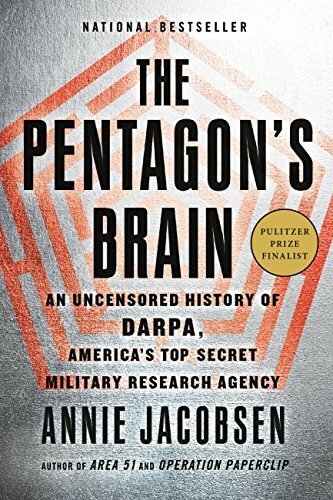 This is the book on DARPA--a compelling narrative about this clandestine intersection of science and the American military and the often frightening results. The National Security Agency was born out of the legendary codebreaking programs of World War II that cracked the famed Enigma machine and other German and Japanese codes, thereby turning the tide of Allied victory. In the postwar years, as the United States developed a new enemy in the Soviet Union, our intelligence community found itself targeting not soldiers on the battlefield, but suspected spies, foreign leaders, and even American citizens. Throughout the second half of the twentieth century, NSA played a vital, often fraught and controversial role in the major events of the Cold War, from the Korean War to the Cuban Missile Crisis to Vietnam and beyond. 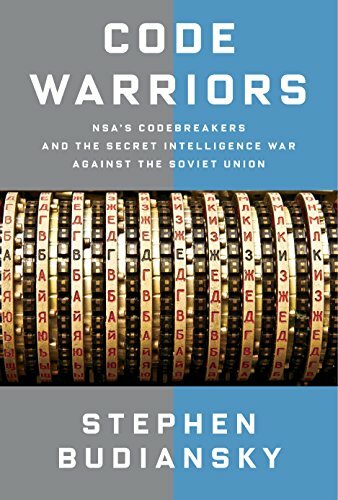 In Code Warriors, Stephen Budiansky—a longtime expert in cryptology—tells the fascinating story of how NSA came to be, from its roots in World War II through the fall of the Berlin Wall. Along the way, he guides us through the fascinating challenges faced by cryptanalysts, and how they broke some of the most complicated codes of the twentieth century. With access to new documents, Budiansky shows where the agency succeeded and failed during the Cold War, but his account also offers crucial perspective for assessing NSA today in the wake of the Edward Snowden revelations. Budiansky shows how NSA’s obsession with recording every bit of data and decoding every signal is far from a new development; throughout its history the depth and breadth of the agency’s reach has resulted in both remarkable successes and destructive failures. Featuring a series of appendixes that explain the technical details of Soviet codes and how they were broken, this is a rich and riveting history of the underbelly of the Cold War, and an essential and timely read for all who seek to understand the origins of the modern NSA.